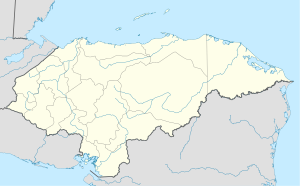 ↑ "Honduras: largest cities and towns and statistics of their population". World Gazeteer. สืบค้นเมื่อ 22 May 2010. ↑ "Honduras: metropolitan areas". World Gazeteer. สืบค้นเมื่อ 24 February 2010. หน้านี้แก้ไขล่าสุดเมื่อวันที่ 15 ธันวาคม 2556 เวลา 23:14 น.